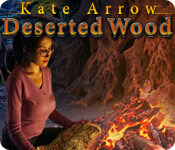 Kate Arrow: Deserted Wood is rated 3.5 out of 5 by 26. Rated 5 out of 5 by smilingsun72 from Great Game! Enthralled from very beginning! Got this game on sale and after seeing the Developer made only one in this series, so I gave it a shot after reading the positive comments. I have only played 10 minutes and am hooked (I had to go to work so I'll finish it later). The graphics are clear and the music nice. I like that I had to comb around to find the stuff instead of everything just being given to me like in most games today. The HOS were a bit challenging because I had to actually look for the items, which I loved. I do recommend this game for those who want a bit of a challenge like some of the first HOS games that came out a few years ago. Rated 5 out of 5 by pcpat923 from Very Skillful and Fun! A Superb HOG Adventure! Minus the smoke, dust, bells, whistles and mirrors, this is a truly, fun and skillfully made HOG Adventure. Beautiful and intricate craftsmanship! 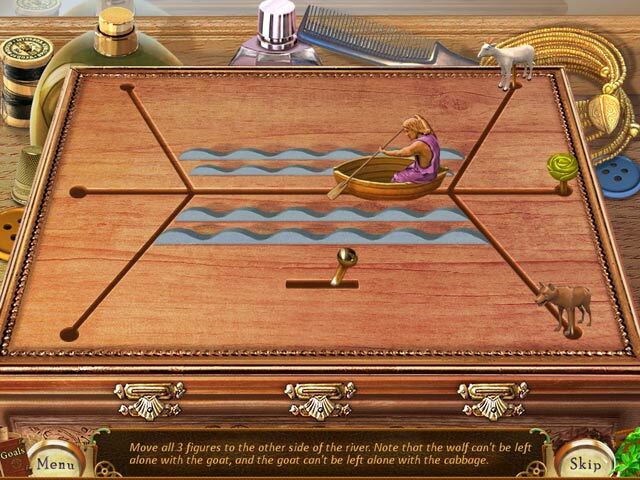 Graphics and story line are clear, bright and straightforward, but don't let that fool you into thinking that you'll pick off the hidden objects easily and breeze through this game. Loved it and gave the 5th Star Rating for being Family Friendly!! Rated 5 out of 5 by rebeccartist from Good, classic adventure / hog It's been a while since I played this game, but I still hold it in my mind as one of the better games I've played at BFG. The graphics are crisp and clear, not to mention bright and sunny (until nightfall :) ) - much more like standard adventure games. (Meaning not casual games). Kate Arrow is a strong woman character, who fixes mechanical things, flies a plane, crashes on an island, and eventually takes on some bad guys. There is interaction with a native population on the island; I liked that part of it. The puzzles were challenging, on the whole, as I remember it. There were some easy ones, but I remember a few that had me going. I played this on my older XP system and had zero technical problems. I don't know how it would play on Win7. There isn't an option for difficulty level (this was made before that became common in casual adventure games). There isn't a strategy guide in the game. I've always been on the lookout for a sequel. There is a charm to this game that I really loved, and would jump at the chance to play another by these devs, whoever they are. Rated 5 out of 5 by Hookedonbigfish from Kate Arrow hits the target Quite a good and interesting game - the graphics are very good clear and precise and there is just enough dialogue to get you through the game without being tedious. Kate needed to find five idols and rescue her grandfather, both held by dastardly characters, and restore them to a location in the village. Some of the puzzles were challenging but most were easy enough but you had to look for the clues. Some of the hidden objects were tricky to find as they blended in well with the backgrounds. Needed the hint a few times but overall very enjoyable. Good story line, bit of intrigue and interesting tasks. A good game although just a tad short. I bought it. Rated 4 out of 5 by tonjadillard from Too many HOS. One every time you changed scenes. This is a pretty good game. Simple yet fun. My only 2 complaints is the boring and repetitious awful music and Too Too many HOS. Way too many. And I had to use the hint on every one as some of the items were very hard to find. Some I never would have seen without the hint. Rated 4 out of 5 by gamefan10 from Enjoyable HO Game I enjoyed playing this game. Kate is trying to help her grandfather recover some idols belonging to a certain tribe. Her grandfather has been captured by pirates who are also after the idols, so now it's up to Kate to find the idols and also rescue her grandfather. Moving through the game was fairly easy and logical. 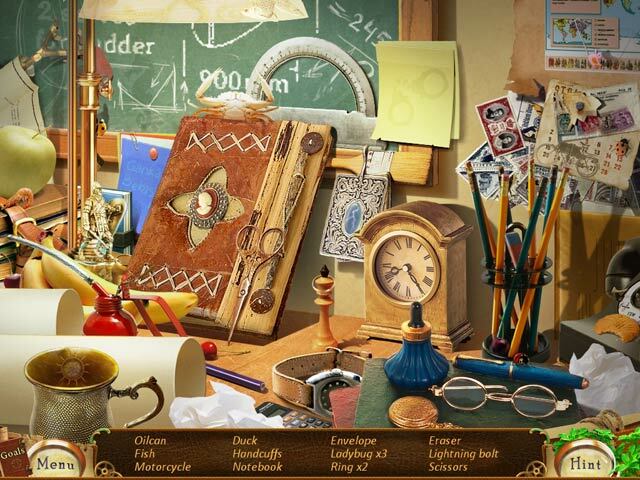 You find all sorts of objects lying around or in hidden object scenes that you need to solve problems. There are only about four locations per chapter, and the game itself is fairly short. It's not a game with all the bells and whistles, but it's enjoyable to play. Rated 4 out of 5 by jmcsfc from wolf pack Great game, liked all the HOs. Not many puzzles. Graphics were good. Sound was good. And a fun game to play. Rated 4 out of 5 by rosekaufmann from GOOD SOLID HOG ADVENTURE Good middle-of-the-road HOS-adventure. Experts would probably not find it much of a challenge but might enjoy its tameness when they want a quiet fairly easy game. Novices would find it more a challenge. Soothing music and pleasing graphics. Puzzles are the usual suspects. HOS have cleverly hidden objects; not too crowded. Gameplay is straightforward – there are only about 4 locations per chapter, so there is little wondering what to do next. Storyline is the usual rescue your grandpa and recover some stolen idols. Well done production; it just lacks the extra oomph that some other games have. Appropriate to play with older children. Return a valuable idol in Kate Arrow Deserted Wood! 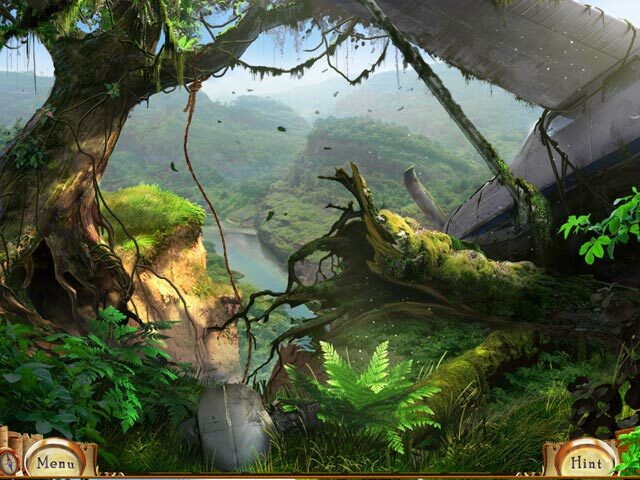 Help Kate travel deep into the jungle in this fun Hidden Object game.